How do you make a school—or an organization—sustainable? Whether you’re a teacher, administrator, or just interested in the green schools movement, you probably know that it’s an ongoing effort. As part of our mission to empower students to create a sustainable future for all, EcoRise presents these bits of advice for greener schools that we ourselves uphold…we plan to share more at the 2017 Green Schools Conference & Expo, March 21-22 in Atlanta! 1.) Plant multiple seeds to achieve one goal. The 17 Sustainable Development Goals, promoted internationally by the United Nations, emphasize cross-disciplinary approaches to sustainability—bridging sectors like education, agriculture, business, health, human rights, and urban development. In that spirit, EcoRise’s impact pulses above and beyond environmental science education. Slated for launch in late 2017 are two new curriculum suites: LEED Prep, a green architecture design course designed to prepare students for the LEED Green Associate Exam administered by the U.S. Green Building Council; and EcoPreneurship, a sustainable business development course. These suites, as well as our other resources for K–12 educators demonstrate EcoRise’s diverse approach to strengthening modern skills in hard sciences, construction, community citizenship, and business, with the ultimate goal of providing young leaders with a solid foundation for learning and action. EcoRise resources are designed to build agency and empower students to turn abstract ideas into innovative reality. 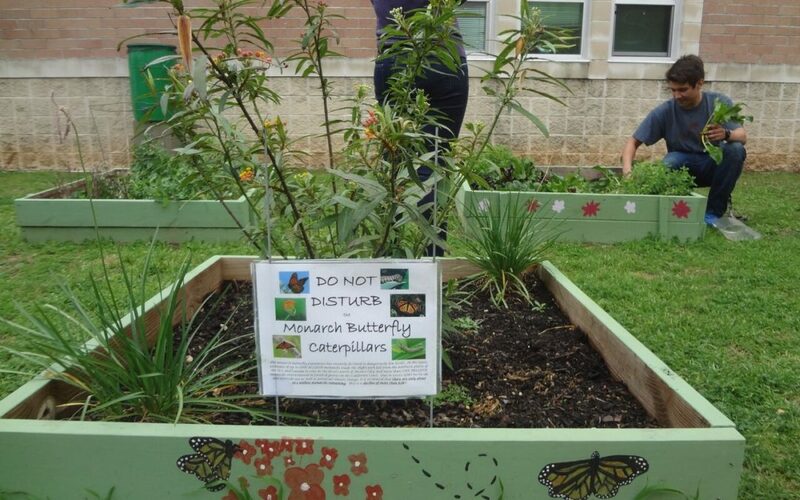 Using a project-based learning (PBL) approach, EcoRise teachers give students an opportunity to tackle real-world sustainability challenges on their campuses and in their communities. Rather than simply learning about the pros and cons of renewable and nonrenewable energy resources, for instance, sixth graders in an EcoRise classroom might design solar-powered charging stations to reduce their school’s reliance on fossil fuels, or run a video PSA campaign to encourage staff and students to turn off their lights and rely on natural light whenever possible. 3.) Give technology a space to grow. By embracing new tech solutions in our work, we walk the talk of innovation in sustainability education. EcoRise now leverages online platforms to host its curriculum and professional development, providing educators with interactive, self-paced experiences. But it doesn’t stop there: as part of our improved Student Innovation Fund, students can now apply for campus sustainability project micro-grants by video application, overlapping smart tools and human creativity. 4.) Put down roots for lasting partnerships. Building associations with like-minded organizations has allowed EcoRise to foray into new geographic and thematic ground. From our Sustainable Intelligence curriculum’s Spanish language translation and implementation at Mexico’s Instituto Thomas Jefferson, to U.S. Environmental Protection Agency funded school programming on the east coast, to an emerging expansion of EcoRise with Southwest Airlines, and now more interested groups raising their hands worldwide, we’ve found that working towards a Bright Green Future is more fun and meaningful with the right partners! 5.) Shine a light on your story. Do you work in green education? Do you believe in the power of supporting teachers and young leaders? We want to meet you! We’ll be at the Green Schools Conference and Expo this March, presenting our solutions for campus sustainability alongside EcoRise Teacher Ambassador Tabitha Yeager of Dighton-Rehoboth Regional High School in Massachusetts, and Austin Independent School District Sustainability Manager Darien Clary from Texas. We know that passing on lessons and learning from others builds resilience. Whether it’s big conference presentations or micro-video sharing, we’re constantly reaching people like you who are working to make education a sustainable force in today’s world. See you in Atlanta! For more about EcoRise Youth Innovations, visit www.ecorise.org.